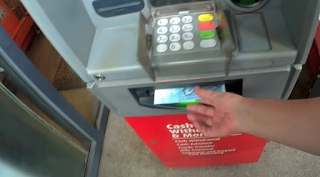 Customer Jonathan Tapiru recently posted this problem about his money not being dispensed from the automated teller machine when he withdrew money. Hi Jonathan, for this, it would be best to get in touch with us via 8-700-700. Our contact center would be able to assist you. You need to immediately report if Metrobank ATM does not dispense the cash you withdrew but credit it from your balance.